High Efficiency Thermal Air Conditioning (HETAC) utilises thermal storage capabilities of Phase Change Materials (PCMs). PCMs provide stored energy for cooling during peak heat load period. 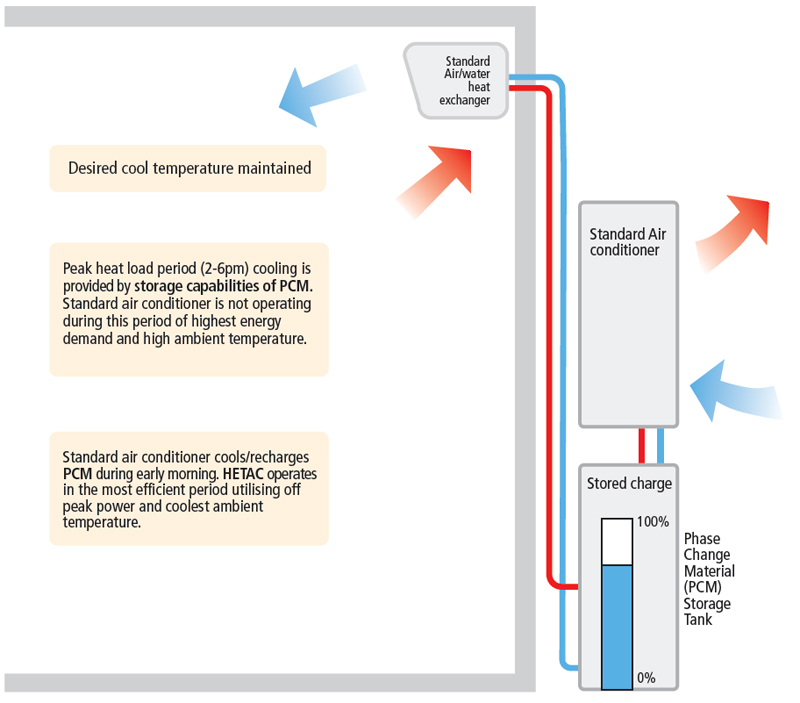 HETAC cools/recharges the PCM during most efficient period utilising off peak power and low ambient temperature. PCM used is – environmentally friendly, biodegradable, non toxic. Conventional air conditioners operate at their most inefficient during peak heat load period utilising high tariff power and counteracting high ambient temperature. HETAC requires minimal power to operate resulting in more than 50% energy savings compared with conventional air conditioning.